Forward-thinking cities dream of using data and technology to transform municipalities into efficient, productive, environmentally sustainable hubs, in order to elevate the quality of life for all inhabitants. It’s similar to the drive toward digital transformation currently taking place in innovative businesses. The idea is to use data and technology not just to support existing ways of getting things done, but also to rethink processes entirely and reinvent operations. The very thing enabling a profound evolution in how businesses and cities operate is data, which can be overwhelming due to its sheer volume. About 2.5 quintillion bytes of data are created every day, and the data production trajectory will increase as access to the internet expands worldwide and more devices join internet of things (IoT). It’s already impossible for a single person or even a team to thoroughly manage or leverage the growing volume of data generated by an enterprise, let alone a city. Overwhelming amounts of incoming, unleveraged data is why artificial intelligence (AI) is a must for businesses that seek digital transformation and cities that aspire to become truly intelligent. AI enables the development of algorithms that identify patterns and make connections in datasets too large for humans to handle. It helps generate insights people can use to reach an objective, whether it is to increase business productivity or improve the quality of life in a growing city. Cued up entertainment based on users’ music, movie, and TV viewing habits. Together, Data and AI are helping financial services companies invest more effectively, are assisting product designers as they create new goods and services, and are inspiring public safety improvements. And yet, even together, it has a significant roadblock ahead for progress. Cities are already gathering huge amounts of data, including information related to parking, public transit, power, energy usage, resource consumption and much more. Breaking down data silos is one challenge cities will have to overcome as they move toward smart city status. In turn, enterprises will need to find a way to integrate data that currently exists in a variety of formats and apply AI to generate insights. The IoT is pivotal, but it also poses its own challenges as it unleashes new torrents of data. 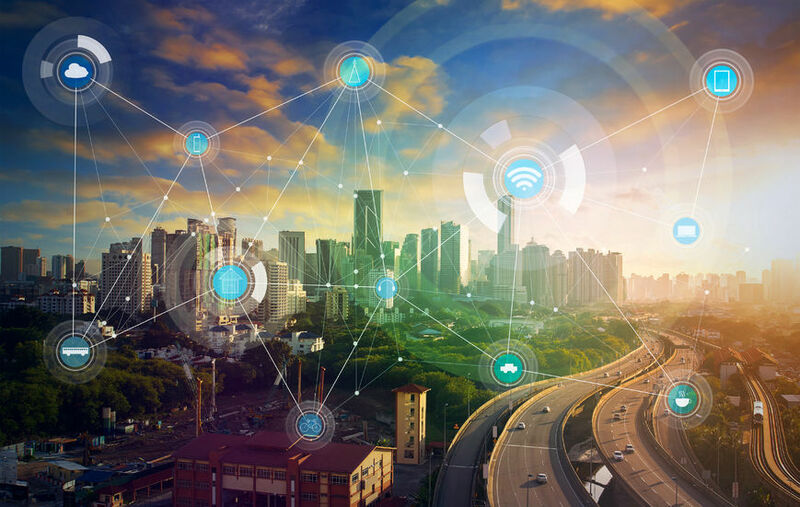 Whether tracking city service usage, transit vehicle maintenance needs, water and air quality, parking availability, or any of thousands of other relevant metrics, the IoT will provide data that will have to be managed and applied effectively -- and collectively. And regardless of its source, gathering, storing, and delivering data poses tactical challenges. A big one? Reliable power. Powering all of the IoT sensors and devices that contribute data is another significant challenge. Right now, most IoT devices and other types of sensors are powered with batteries. Disposable alkaline batteries are an environmental hazard and are too bulky and impractical for sensor usage in most use cases, so they aren’t a long-term solution. Lithium batteries are lighter but can pose a fire risk. Nickel metal hybrid batteries come in rechargeable form, but they aren’t a panacea. This type of battery isn’t suitable for many outdoor applications because it doesn’t perform well in extreme temperatures. Recharging can be an issue too, depending on the application. And unless the nickel metal hybrid battery is drained of voltage prior to recharging, it doesn’t hold a charge as well. If batteries will power sensors and devices that make cities smarter, municipalities are going to struggle with the expenses and maintenance costs. Luckily, there’s a better solution than batteries: real wireless power, such as Ossia’s Cota® technology. Cota can power the IoT sensors and other devices that feed data to smart cities. Wireless power is a reality today, and it can be built into devices to keep the power flowing in and data flowing out — without the maintenance issues and end user interventions that other power sources require. Licensed to manufacturers and service providers worldwide, Ossia’s Real Wireless Power technology works on a safe-for-humans (and pets) 2.4 GHz (and now also 5.8 GHz) radio frequency, just like WiFi and Bluetooth. It delivers power up to 30 feet in circumference with just one transmitter to dozens of devices, or 50 feet with two. Linking more transmitters extends the power or distance, depending on what the application requires. A range of Cota-enabled devices are already in use, from automotive sensors and electronic shelf tags to medical devices and smartphones. Each has a tiny microchip-sized receiver built in by the manufacturer, which sends out a beacon that bounces off of walls and objects (but not people or pets) to find the transmitter. The transmitter then sends power along these same paths (naturally avoiding people and pets) to power the device. With wireless power, cities can bypass the roadblocks raised by the need to power tiny, inaccessible devices that collect data as diverse as temperature, pressure, depth, sound, moisture, speed, and even health vitals. Wireless power solves the dilemma posed by the need to keep devices powered up without stopping to change or recharge batteries. It keeps devices powered without user intervention. Data and AI are driving next-generation innovations. It’s true in companies that are seeking digital transformation, and it’s true in smart cities as well, just on a larger scale. But data and AI are only part of the solution. Wireless power that works without plugs, charging pads, or line of sight is also a precursor to truly smart cities. The sooner businesses build wireless charging capabilities into products, the sooner we’ll have smarter, safer and more connected cities.